I've read many good books this year. Here are my choices for the best ones of 2014. I read other good books this year that were older books so I left them off the list. And I'm sure I'll eventually read some other good books published this year. But here's my top ten that I read from this year. I hope you find some of these interesting and check them out. In this engaging book, Halter argues that the incarnation of Jesus as God with us should sit at the center of how we view and live faith. Through a mix of personal stories and spiritual insights, he both writes about the importance of God putting on flesh through the incarnation and the importance of us being the flesh of God by living out the incarnation. It can feel like an easy read, but is sneakily convicting. Rabbi Wolpe richly brings to life the complicated story of the prominent biblical character of David. As the subtitle suggests, the portrait considers the good and the bad, moving beyond the simple idealized versions of David we often find in children's stories. Despite being quite biblically literate, I learned a lot from this interesting book. The book reportedly will form the basis for a new Hollywood movie. As the head of the Baptist Joint Committee for Religious Liberty (BJC), Walker brings a wealth of experience and expertise to discussions of critical church-state issues. This short book brings together a lecture series he delivered in 2013. The book offers a nice overview of why church and state separation is best for both. I reviewed the book in an earlier post. I appreciate the work of Walker and the BJC. As an Orthodox Jew teaching New Testament at a Christian school, Levine brings a unique perspective to the parables of Jesus. She challenges common spiritualized interpretations that likely veer from the original meanings. She also brings a needed reminder to Christians to be careful not to add anti-Semitic themes to the parables. She made me rethink several parables. Written by one of the most thoughtful Christian theologians today, I grabbed this book as soon as it came out. In this book, McKnight deals with some problematic misunderstandings of kingdom language in the Bible. I do not necessarily agree with all his arguments, but he made me think a lot. He makes some good observations about faith and politics. A fantastic book that needs to be widely read. Enns strips away the need to defend the Bible as 100 percent perfect and instead view it for what it is intended to be. As he challenges simple readings of scriptures, he brings in layers of complexity and nuance to make the texts richer. Rather than destroy faith (as some might fear of his arguments), this book greatly enriched my faith. I especially appreciate his look at some of the "genocidal" passages in the Old Testament. If evangelical Christianity in the U.S. needs to learn one message, it is the one Zahnd tackles. I pray his book will find its way into many hands and then into many souls. 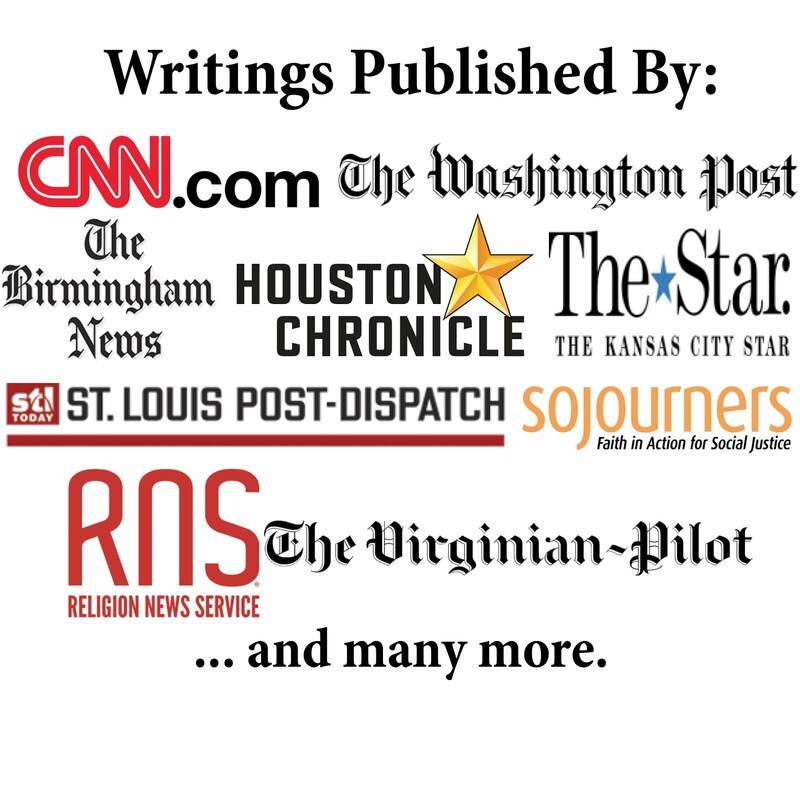 A talented writer, Zahnd brings together scriptural analysis and personal stories. Even though I have been making much of the same faith journey, he taught me more (and shocked me with some of his examples of war rhetoric among Christians). This biography of Carter not only offers a great portrait of the man but also illuminates the culture around him. Balmer explores the rise, fall, and rise of Carter. Balmer also offers a nuanced look at religion, politics, and race. The book particularly documents serious problems among some conservative evangelicals on issues of politics and race. I reviewed the book with more details in an earlier post. Although the only novel on this list, Richard's book nearly soared to the top of my picks. The novel is a rewrite of the Book of Tobit, which is in the Catholic and Orthodox Bibles but not the Protestant ones. Richard masterfully retells the story in North Carolina during Depression. Not only is this a wonderfully creative vision, but the book is well-written with engaging characters and dialogue. If you are not familiar with the Book of Tobit, read a quick summary (like on Wikipedia) before reading this novel. I always find Brueggemann brilliant, but this book is particularly so. He rescues the idea of the Sabbath away from rules and legalism. Rereading the rest of the Ten Commandments and much of the biblical record through the teachings about the Sabbath, Brueggemann offers some much-needed insights for our fast-paced consumerist society. As you read this book, take time to stop and reflect. I hope you also find some of these books inspiring and helpful. 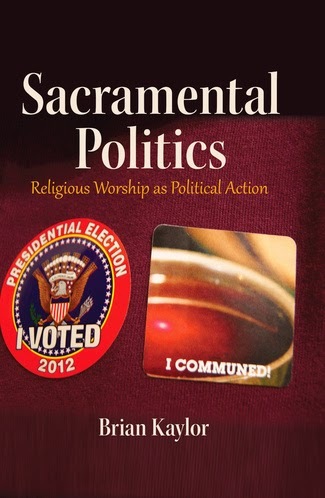 And I hope at least some people will find my new book, Sacramental Politics: Religious Worship as Political Action (which has a 2015 publication date), a nice read in 2015. I look forward to discovering many more good books in the new year. Please add a comment to suggest good books from 2014 that I missed.